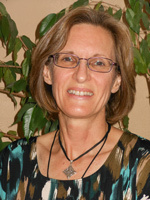 Malana has been practicing massage since 2002 when she graduated from Colorado School of Healing Arts. Along with offering massage, Malana has expanded her training to include many other energy work and healing therapies. With an objective towards utilizing her training, experience and intuition, Malana provides the healing support required and offers comfort and nurturing when needed. Her intention to create a sanctuary for the duration of the session, provides a place of rest and relaxation where you will find support on your healing journey and help to reach your highest potential. The Raindrop technique is highly relaxing and benefits anyone wanting to manage stress. Further, it helps identify emotional and behavioral contributors to chronic disease and blockages to emotional or physical healing.The oils have an innate healing intelligence and work with the body to go right where healing is needed. For more information please refer to my website: MountianMeadowHealing.com.